Anyone else sick of hearing the words ‘tough times’, ‘financial crisis’ and ‘credit crunch’? Well we are. Lets stop friggin talking about it all day every day and build a big bridge and ride the hell over it. 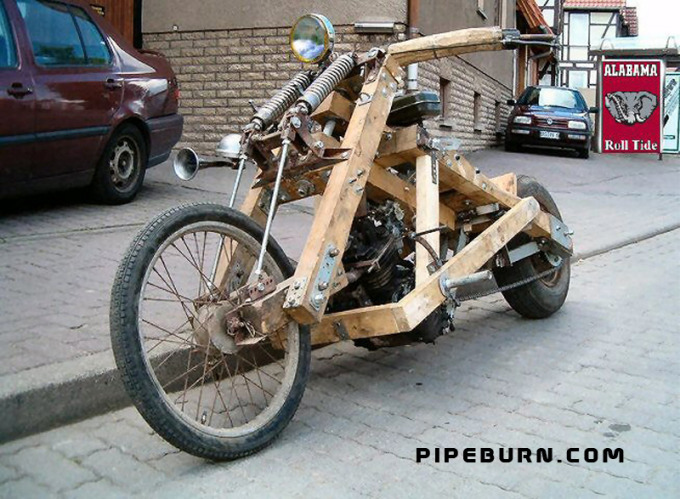 Heres the perfect ghetto bike for these hard times… made from hard wood. Just be careful smoking near it….